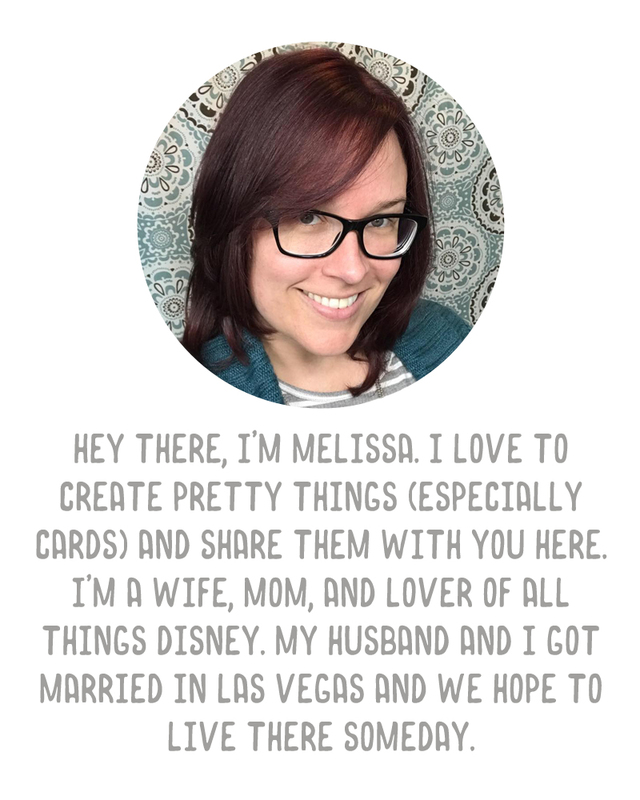 A Vegas Girl at Heart: Cards! Just some (fairly) recent cards I've made. 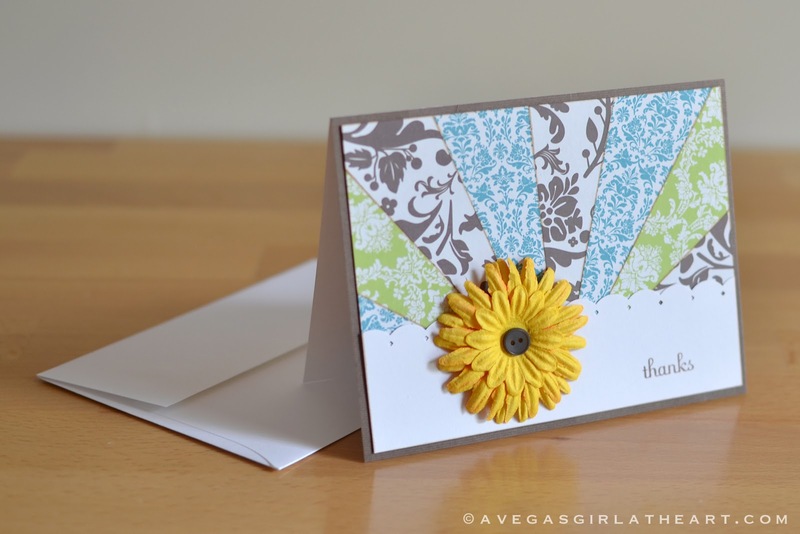 This one is using Stampin' Up! 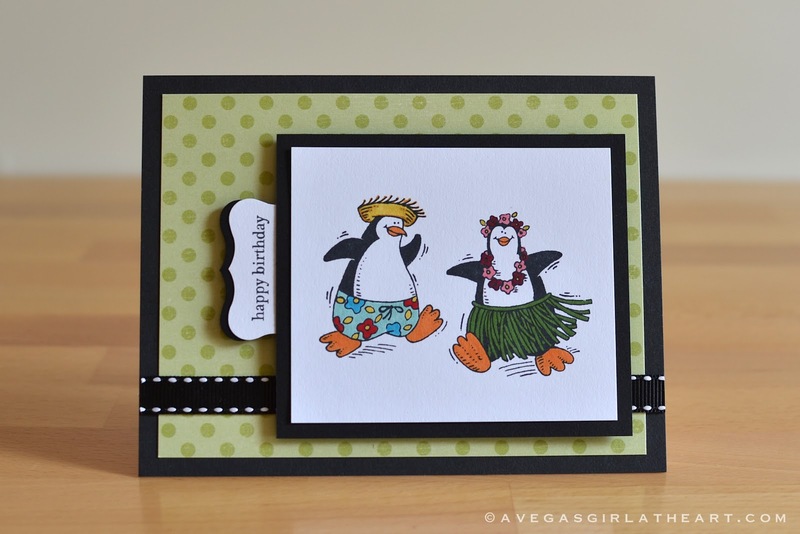 's Penguin Paradise (retired), and Stampin' Up! markers to color these cuties in. 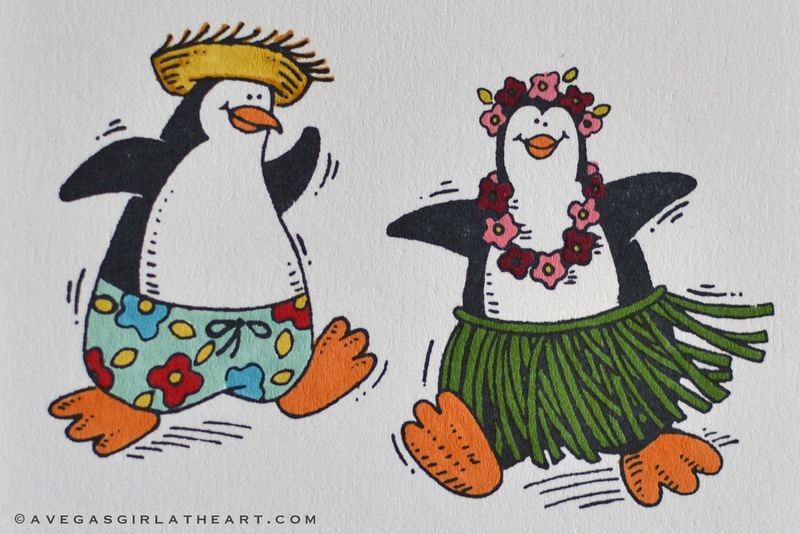 I made this card for my Uncle David for his birthday (he's a Hawaii freak). 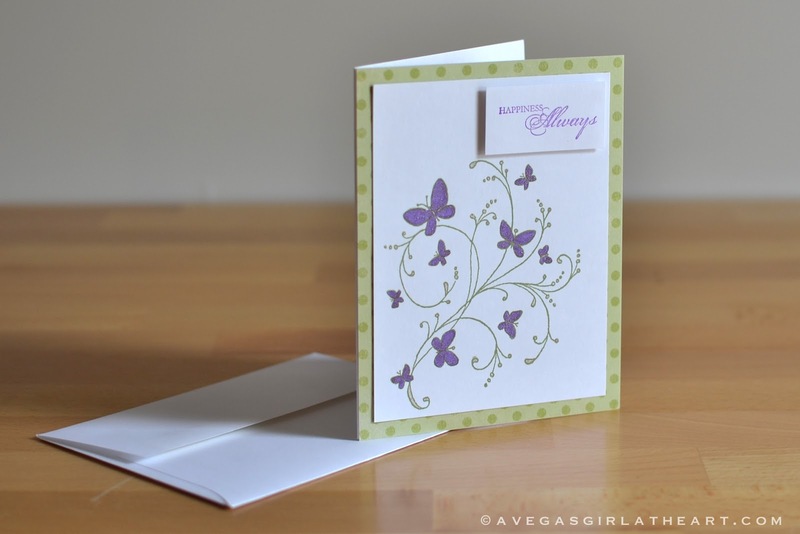 I used the curly label punch and a Teeny Tiny Wishes stamp for the tag on the side. The ribbon, I cut using this AMAZING tool, called an i-Magicut. Ink used was Memento's Tuxedo Black. This next card uses a stamp from the Fabulous Phrases set, and a really neat technique called a starburst card. 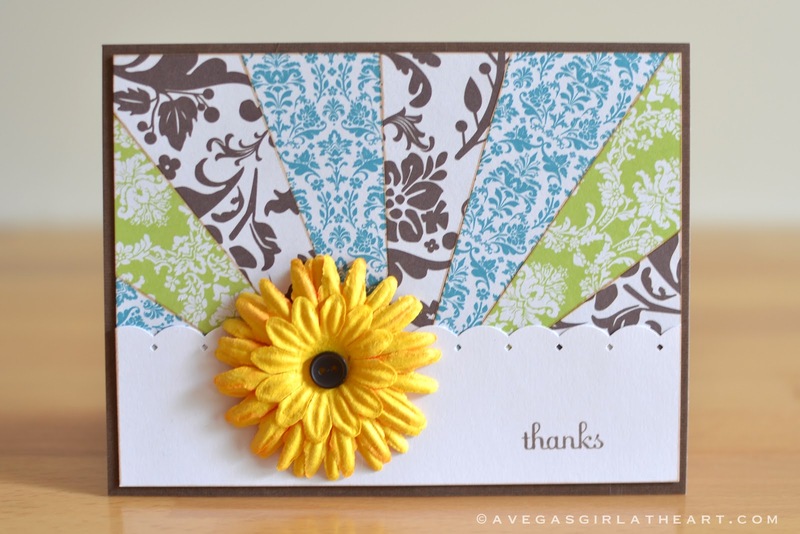 I found a tutorial for this right here, on Stars & Stamps. I love how this one turned out, so I plan to make a bunch more in this style soon. The border punch was from EK Success. Paper is just some inexpensive patterned paper I picked up somewhere (Tuesday Morning?). I inked the edges with some sepia toned ink. 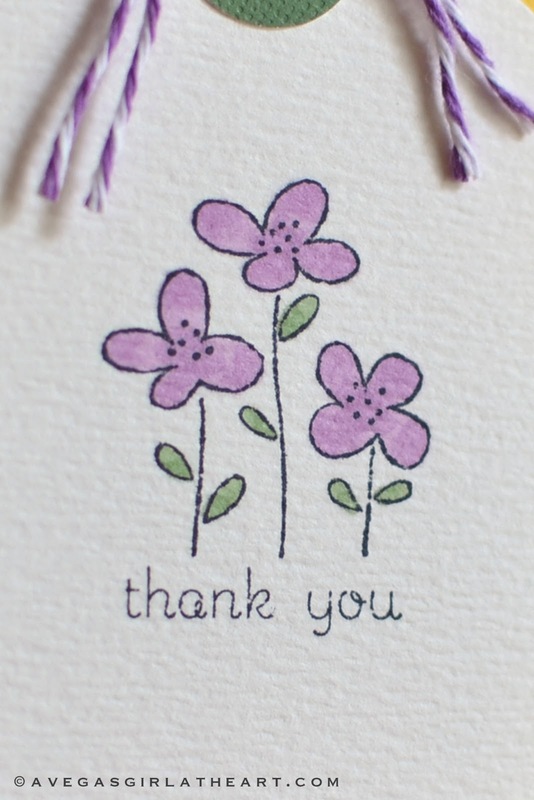 The flower was also from an adorable jar of paper flowers picked up at Tuesday Morning, layered together with a button on top. On to an elegant, more traditional card. 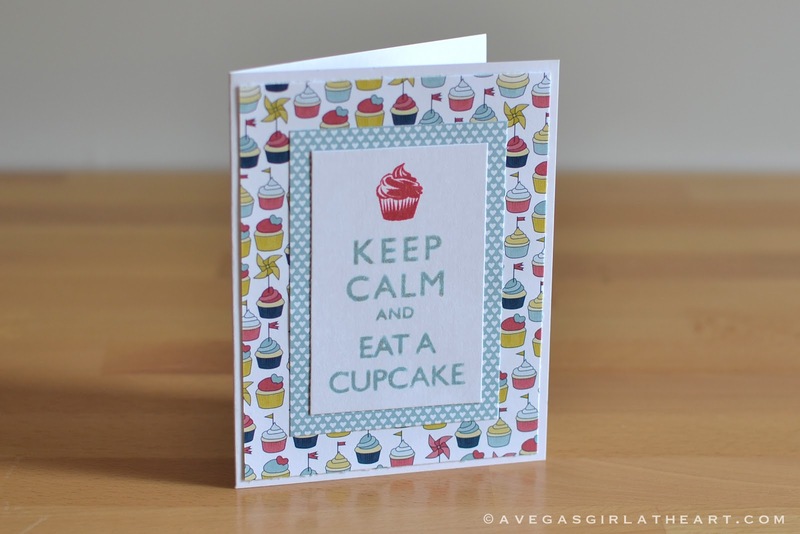 This uses Stampin' Up! 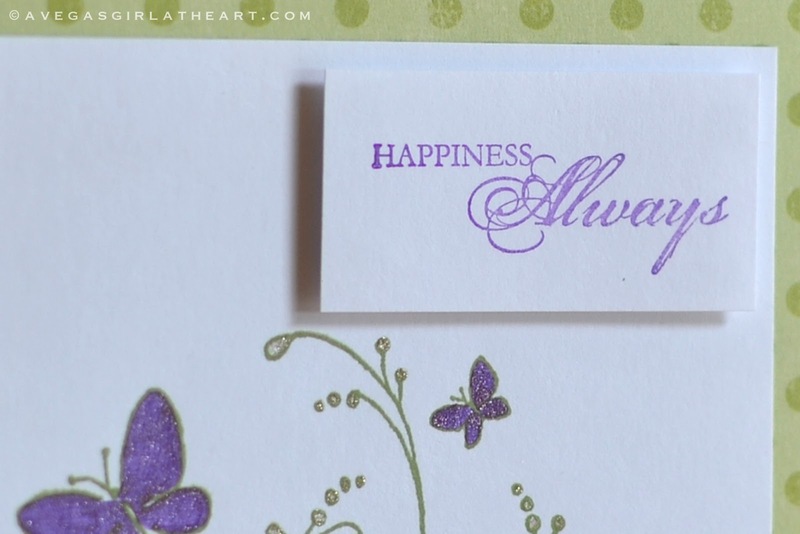 's Happy Harmony set (retired), and a gorgeous butterfly stamp from Inkadinkado. I colored in the butterflies with a glitter pen (Gelly Roll). Ink was Memento's Bamboo Leaves. For this next card, I used a stamp from the Easy Events set. I spotted the general design in the current catalog and made a simpler version. I colored the flowers in with Copic markers. 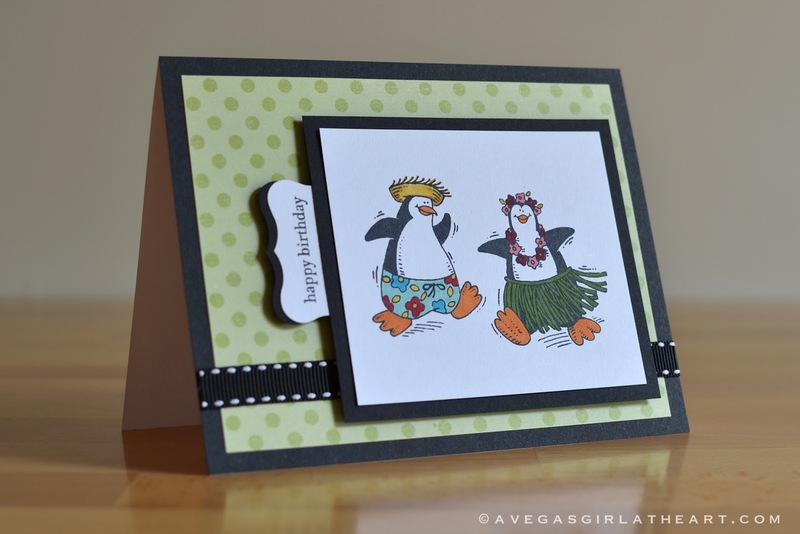 I used an embossing folder from Cuttlebug for the yellow paper background, and an EK Success border punch along each side of the green polka dotted paper stripe. The bakers twine came from The Twinery. (I LOVE their sampler packs - a great way to test out the colors and there's plenty of yardage in them for a good price). 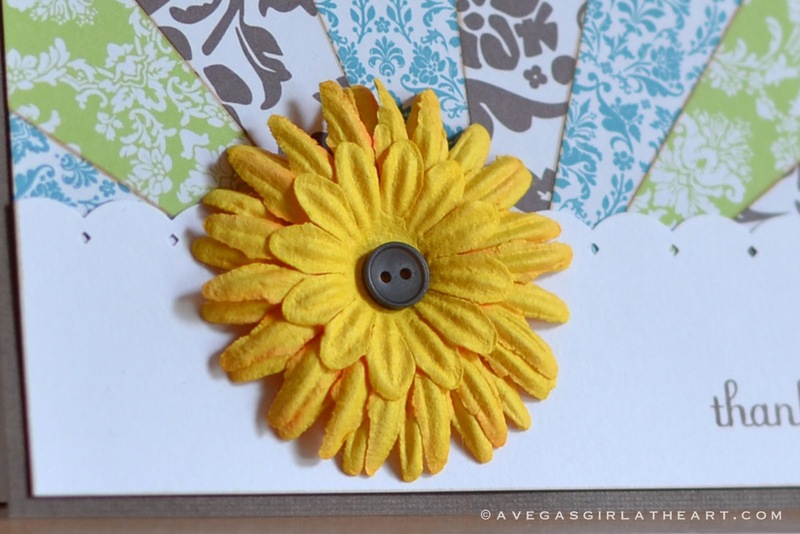 The tag part was cut using a Sizzix Tag die, and then the green circle was a small circle punch, with a regular sized hole punched through the center. 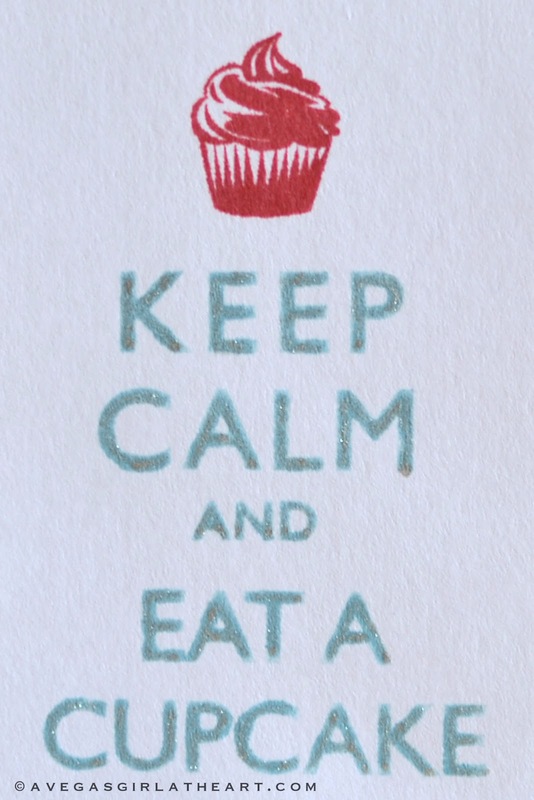 A few weeks ago I went to an open stamp night at my demo's house, and I made up a card using the hostess set, Keep Calm. The paper is from Patio Party. I used Baja Breeze and Primrose Petals for the ink, and later I added some glitter with a Gelly Roll Clear Star pen. Finally, just an iPhone shot of the card I made Brad for his birthday from Austin. 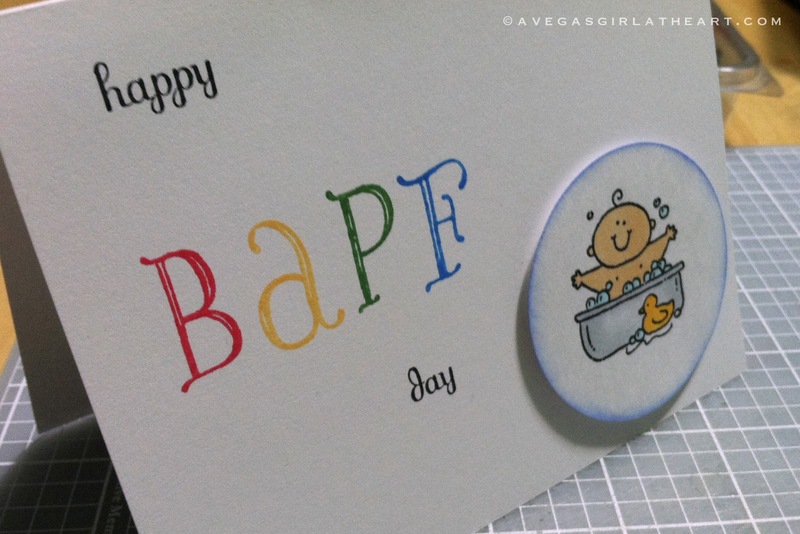 Austin says "Bapf" every night at bathtime, over and over again. Since Brad is the one that gives him the majority of his baths, and I had this baby in a tub stamp from Stampin' Up! 's Baby Firsts retired set. The letters are from the Notable Alphabet set. I so love these letters!